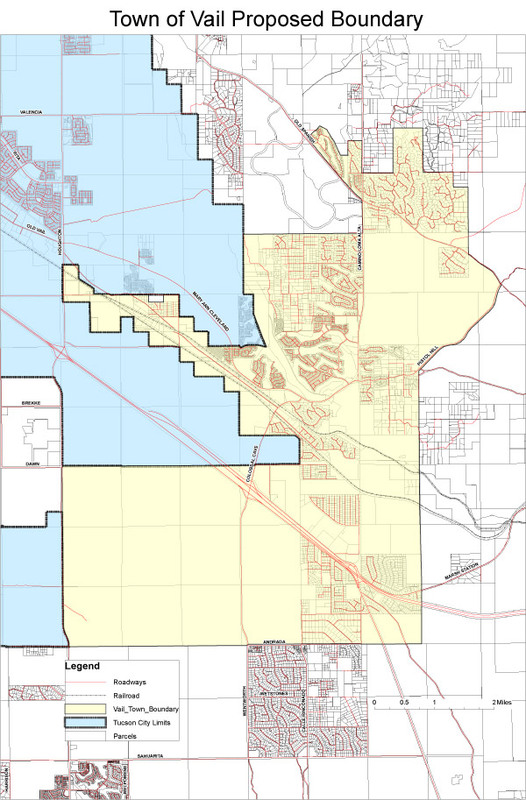 On November 5, 2013, Vail residents voted on Proposition 403. SHALL THE AREA DESCRIBED IN PETITION NO. I-1-2013 BE INCORPORATED AS THE TOWN OF VAIL, ARIZONA PURSUANT TO A.R.S. §9-101? Of the 7,320 registered voters within the town boundary, 2,065 people voted "NO" and 1,710 people voted "YES". The measure failed. This vote represented approximately 51.6 percent of the registered voters. The spread between "YES" and "NO" was 355 votes. The full results can be found at the Pima County Election Website, but they are repeated at the end of this article. In the months leading up to the vote and in interviews after the vote, I talked to people to find out why they voted the way they did. For those who voted "NO" there were some pretty clear reasons. The primary reason was that there was a strong resistance to the tax increase that would be likely. Incorporate Vail repeatedly said that the new town could be adequately run based upon the state share of income taxes that comes to a town after it is incorporated. However, most of the NO voters did not believe this. This isn't a surprising result. If you look at budgets of other towns of similar size, they tend to be in the tens of million dollars. According to Incorporate Vail, the Arizona revenue share would be $3.5 million. In their feasibility study, Incorporate Vail showed how this state revenue share could adequately fund basic services. But in the end, most people thought that this was simply a first step to more taxes in the future. Aside from taxes, there was another concern about rural living. Others felt that if Vail were to be incorporated, it could change the rural nature of the community. Towns bring businesses and more people and a stress on the environment. 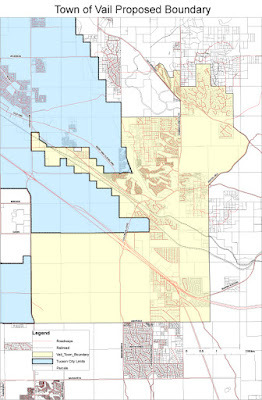 Much of the land within the proposed boundary was vacant. Some people wanted this land to remain vacant. Towns bring people. People eat up vacant land. There seemed to be a general mistrust of government in general. In the national and state level, politics is becoming very polarized. For the most part, neighbors are able to keep their political views to themselves. However, once politics becomes local, issues about tax increases or road improvements could change that. And finally, some just like things the way they are and see no need to change. In the end, the people spoke. And that vote must be studied and honored. If any form of local governance is to happen in the future, it must address these issues. And if these issues cannot be adequately addressed by a town, then the town is not the right solution.